Anemia and high blood pressure sometimes go hand in hand in people with kidney failure who are on dialysis. Dialysis, although necessary for a kidney patient's survival, carries certain complications. Healthy kidneys produce the hormone erythropoietin which stimulates the production of red blood cells. Lack of this hormone from a healthy kidney often produces anemia in dialysis patients. 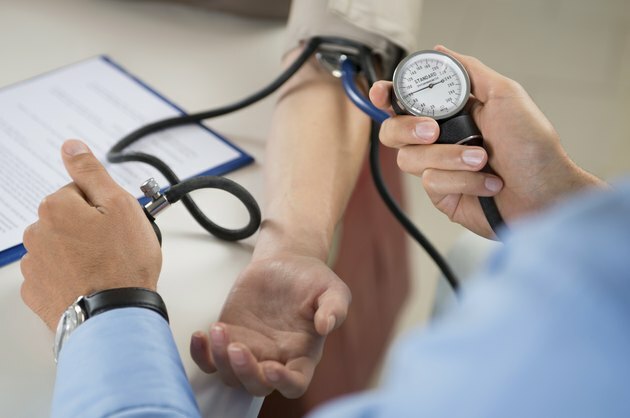 High blood pressure is a leading cause of kidney failure. Too much fluid or sodium in kidney patients on dialysis makes high blood pressure even worse. This takes a toll on the remaining kidney function.